The Women in Surgery (WIS) Career Symposium is a professional and academic event dedicated to encouraging more women to pursue careers in Surgery. It promotes both personal and professional growth and is designed to foster mentorship as well as a peer network. It also provides a forum to discuss contemporary issues and opportunities for women who have chosen or may choose a career in Surgery. Participants will be able to interact with women who are thought leaders in Surgery and pioneers in advancing women in Surgery. 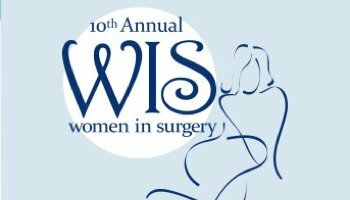 The annual WIS career symposium serves as a forum to discuss the issues and challenges confronting women as they seek to advance in a changing but still male-dominated field and to share successes and advice for breaking the glass ceiling in Surgery. Furthermore, the intention is to highlight the importance of advancing women toward careers in Surgery by providing meaningful avenues for surgical professionals and students to interact, exchange ideas, and formulate effective strategies in advancing this important endeavor. This symposium is designed for women who aspire for a career in Surgery or wish to enhance their careers in Surgery. The target audience includes physicians, fellows, residents, medical students, graduate and undergraduate students, and other healthcare professionals. •Actively seek out and improve upon existing mentor/mentee relationships. •Identify specific issues facing women in Surgery. •Cultivate techniques for handling discrimination in the workplace effectively and professionally. •Pursue leadership positions in Surgery. •Possess an understanding of the basic skills and requirements for pursuing leadership positions. •Identify where and why there is need for women in leadership roles. •Utilize professionalism in a discipline in which men are traditionally more predominant. •Implement specific coping methods and networking skills to promote a career in a discipline in which men are traditionally more predominant. •Better appreciate the need to negotiate “equal pay for equal work”. •Generate reasonable expectations regarding lifestyle issues in residency and early career. •Implement basic strategies for financial security. •Recognize issues regarding pregnancy during a surgical career. •Be equipped to plan for pregnancy during residency and beyond. •Employ and optimize strategies for balancing children and marriage in the face of a demanding profession. •Acknowledge and help further the goals for the future of women in Surgery and be empowered to move toward those goals. •Determine what sub-specialty women surgeons most commonly pursue. •Summarize guidelines that will strengthen your professional image. •Interpret the discrepancies between perceived and actual earned salary of women surgeons. Upon returning to their home institutions, women should be empowered to develop an environment more conducive for career advancement and personal growth and fulfillment. Attendees should be able to improve upon mentor/mentee relationships, possess a better understanding of the challenges that face women in surgery and how to go about overcoming those challenges, and be encouraged to push the boundaries and expand the horizons of women in surgery.